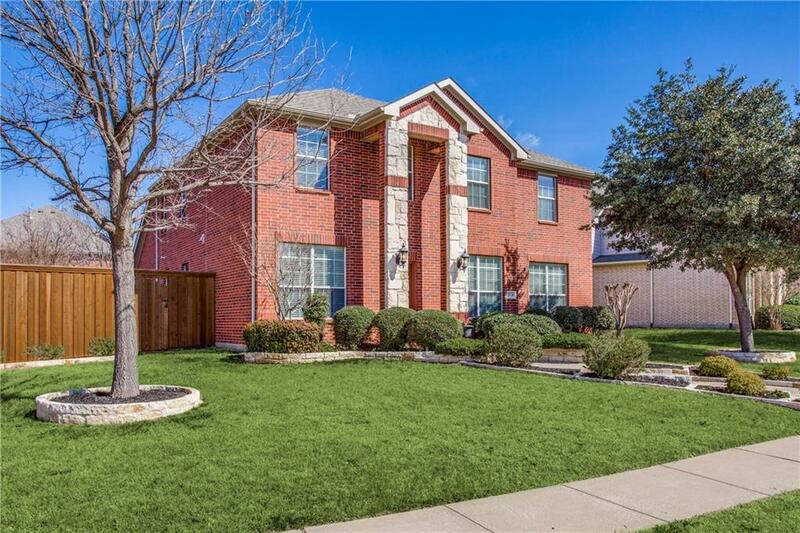 Meticulously maintained, one-owner home in west Frisco. The home showcases excellent curb appeal & lrg front yard + a smart layout w impressive room sizes, walk-in closets in every bedroom & plenty of storage space. The open kitchen has pull out shelves in lower cabinets, granite CT, an extra deep farm sink & stainless appliances. There are multiple dining areas, a cozy family room w FP, home office, large master, three large secondary bedrooms & a bonus room. The master retreat has inviting bath w updated frameless shower. Outside you have a delightful 12x20 covered patio ideal for entertaining or relaxing, storage building, board on board fence + 2 car garage w epoxy floors & utility sink. Attends Frisco ISD.